The normal prime lens space in the Micro 4/3 system has recently become a bit more crowded, as Olympus has finally released their fast normal prime lens, the 25mm f/1.8. Panasonic has had their excellent Leica 25mm f/1.4 for several years now, and Olympus has decided to concentrate on creating an extremely compact high quality lens, while sacrificing a bit of lens speed. It’s clear from the moment you first look at the Olympus 25mm f/1.8 that Olympus prioritized lens size for this release. 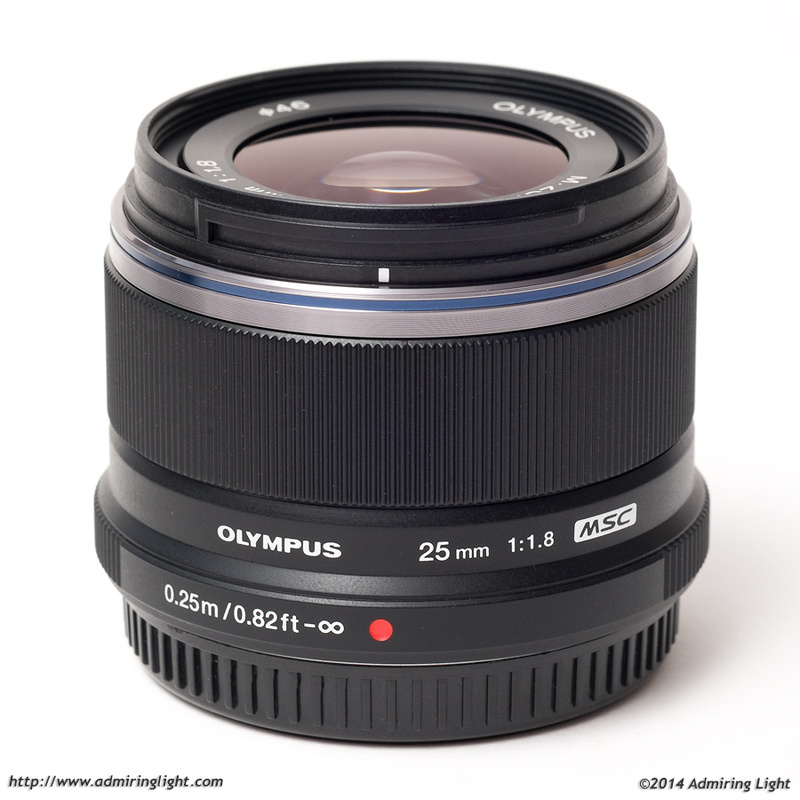 The 25mm f/1.8 is a very small lens constructed predominantly of high quality plastics an a metal mount. The lens is relatively solidly put together and there are no creaks or wobbles anywhere. The broad focus ring that makes up the majority of the lens body is smooth to turn, and ribbed just like its older brother, the 45mm f/1.8. It also inherits a bit of that cheaper feeling of that focus ring. The plastic simply feels thin here. Because of the very compact size and light weight, the 25mm f/1.8 will handle beautifully on any Micro 4/3 body. This is a lens that you can pop in a shirt pocket or most anywhere to take with you. In a first for Olympus, outside of their ‘Pro’ line, they finally include a lens hood with the package. It only took 5 years, but Olympus has finally gotten the message that simple plastic accessories like lens hoods should be included with the lens, rather than priced absurdly and sold after the fact. The hood is a simple, small plastic hood that mounts via the bayonet mount on the end of the lens. The hood is reversible for storage, and does add some width to the whole package, but it’s still extremely small. The Olympus 25mm f/1.8 features a silent and fast AF motor that allows for very quick acquisition of focus and excellent accuracy. While the lens is certainly fast, I did notice it tended to hunt a bit more than the typical Olympus lens when in dimmer light, though it usually wasn’t an issue. Thank you, Jordan. Another well done review, as always. It is good to see Olympus doing well. Yet, I’ll be keeping my PL 25 as I don’t mind the size, appreciate the f/1.4, and it has been my favorite lens for a long time now primarily due to its rendering. Jordan, good review. I own the 25 leica with my OMD ME1 and love it. 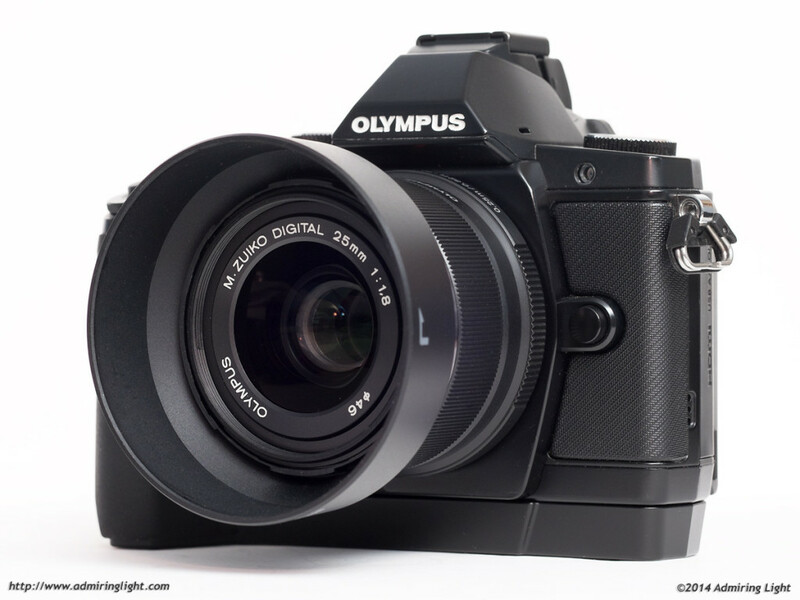 I am sure I would be very happy with the olympus 25. Thanks for the review. I know it’s a bit of apples vs. oranges – but do you have an opinion of how it compares to the Panasonic 20mm? Thanks for this nice review. You have done some post-processing here, to correct the verticals (something I like to do too, to improve the result. But surely it’s best not to do that in a lens test, It distorts resolution and removes half the corners. I would agree with you if this were a ‘lens test.’ But it’s not…it’s a review of the lens. As I say in the beginning ” I review products on how they act for me as a photographic tool in real-world shooting.” That means I use the lens and make images how I would with any of my own gear. I care how a lens works under those constraints…how it reacts to processing, how it holds up under regular conditions. I am not posting 100% crops of the corners after correction…I’m not posting 100% of anything. Image samples give you a look at how the lens performs in my hands, with my typical processing routine. I did do a comparison with this lens against the Panasonic 25mm last week, and in that article, I have 100% unaltered crops straight from RAW conversion with no manipulation. But my reviews: they are my thoughts on how the lens performs, handles, etc, under my normal photographic conditions. Thank you for the review. This lens looks like an excellent prime. Have you run across any Nikon FF lens that you could say has very comparable characteristics (first of all, sharpness across the frame). This lens is on backorder right now, and it prevents me from getting OMD EM1 right away. I am losing patience and starting to look around again. I like the site; I will return. I actually have done a lot of them, though j can’t always do it for every product. If you search for “vs” you’ll find them. I have done the Panny 25 vs the Oly. Thanks. I’ve been enjoying the site. Very helpful to this newbie. Pingback: MFT??????? M.ZUIKO DIGITAL 25mm F1.8??????? | ????????????? Pingback: ????? M.ZUIKO DIGITAL 25mm F1.8???????????????????? | ???????????? ?